New York Times bestselling author Richard A. Knaak posted in his Facebook page that his Polish publisher Wydawnictwo Insignis announced the launch of Diablo: The Sin War, Scales of the Serpent (Diablo: Wojna Grzechu, Smocze Luski) in Polish language. Personally, while there are people who differ, I love Richard’s novels in the Diablo and Warcraft universes. Without Richard, we wouldn’t have the Dragon Aspects, Onyxia, Nefarian, World of Warcraft: Cataclysm, The Hour of Twilight, or even Wrathion. How about Grim Batol, Dalaran in Wrath of the Lich King and the Fall of Theramore. There is so much in the Warcraft lore that was born from the mind of Richard A. Knaak, or that by domino effect was born in the mind of other writers and Blizzard story developers based on his past work. I’d love Blizzard to call him back to write at least more Diablo stories involving Zayl or other characters. There was a twenty years gap between Diablo II and Diablo III that is food for awesome stories that may shape future games based in the Diablo universe. That, and I miss him so much. After my first interview with Richard back in 2003 about Warcraft: Day of the Dragon, I went and picked up the novel and read it. That was my first intro to novels based on Blizzard games and heck the first book I read after nearly 15 years since my college days. Ever since, I have read all Warcraft, StarCraft and Diablo novels, mangas, and comic books; and that first interview and novel inspired me to report news about upcoming Blizzard Licensed Products for the past 12 years. Knaak responded candidly, saying, “The ramifications here will be used for any future project … and I ain’t writing for a dead game.” Later, when asked by a reader about Diablo, he repeated his loaded words: “I am not writing for a dead world … but a world with dead,” said Knaak, adding, “‘Nuff said! We wouldn’t have Diablo III without Richard A. Knaak’s Diablo: The Sin War which introduced the Nephalem being offsprings of Angels and Demons. We wouldn’t have the Diablo III: Book of Tyrael and Diablo III: Book of Cain . 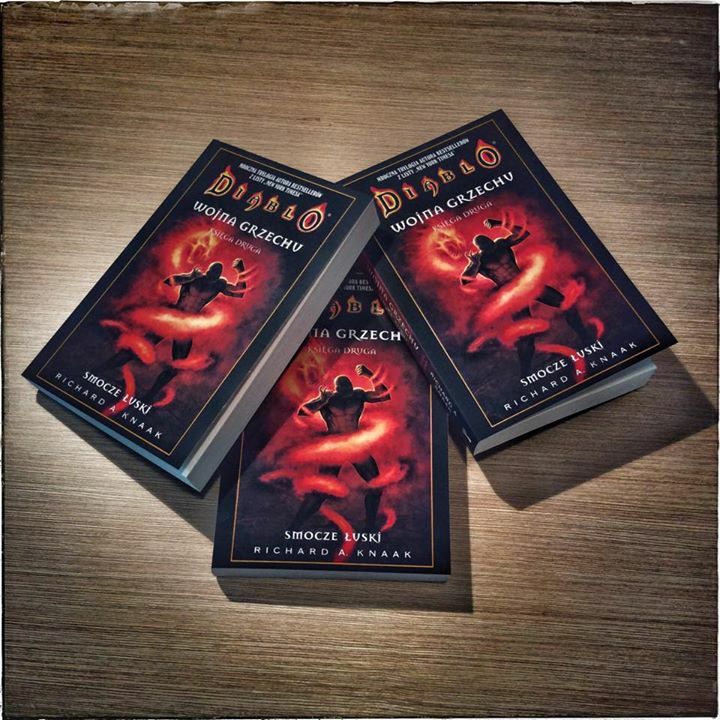 If you are interested in the English version, You can find the Diablo: The Sin War trilogy by following the link. Update: Searched for the original post in polish at the publisher’s website.